Field Day Fun with Rio! To Jayhawk fans, Mario Chalmers is something of a folk hero. Chalmers hit “The Shot,” a legendary three-pointer that sent the 2008 National Championship into overtime — a game the University of Kansas went on to win. Post-KU, he went on to win NBA championships with the Miami Heat and most recently played for the Memphis Grizzlies. But now, Chalmers is aiming to make a name for himself as a children’s book author. 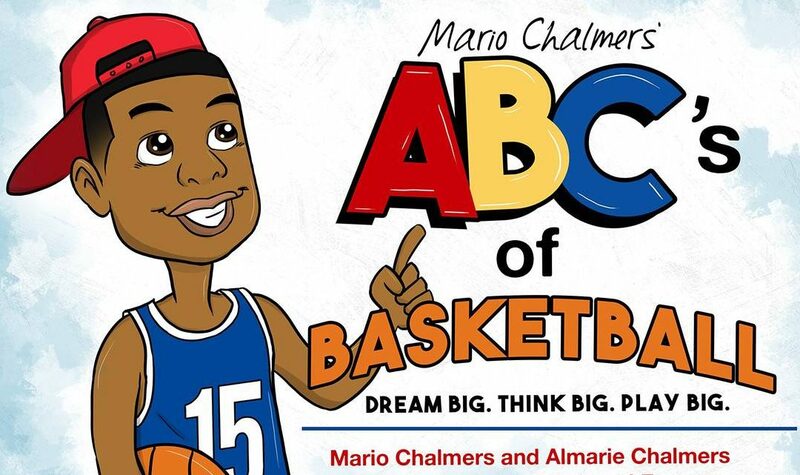 Earlier this month, Chalmers released “The ABCs of Basketball,” an ABC book geared for 3-to-8-year-olds. He co-wrote the book with his mother, Almarie.The two will be at Wichita’s Watermark Books & Cafe, 4701 E. Douglas, at 6 p.m. Thursday for a signing of the book. The book — in which “E” is for effort, “T” is for three-pointer and “Z” is for zone defense — is written for children, but also for KU loyals or anyone who appreciates a go-get-’em attitude, said Sarah Bagby, owner of Watermark Books & Cafe. “Even though it’s focused on the game of basketball, the message is certainly perseverance and working with a team and believing in yourself,” she said. Chalmers writes in the book that he devised these “ABCs” while in high school, as part of an 11th-grade English class assignment. His teacher urged him to “do more with it,” he writes, but only recently did that opportunity arise. The book is published by Overland Park-based Ascend Books. At Watermark, Chalmers will only be signing copies of the book purchased at the store. Each book purchase grants the purchaser two tickets to the signing. For more information about the event, call the store at 316-682-1181. Chalmers is the latest NBA player to dabble in the world of children’s books: Wichita State’s Ron Baker penned a children’s book in 2016 before becoming a New York Knick. @2017 Mario V Chalmers Foundation a Non-Profit 501C3. All Rights Reserved.